True Book Addict...True to Books: Happy New Year! I apologize for the Grumpy, but I couldn't resist! 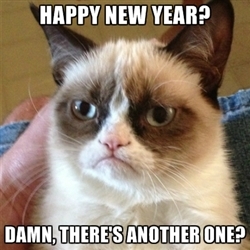 On a serious note though, I'm wishing you much joy and health in the new year. I'm looking forward to making my new life a great one! I love Grumpy and these are perfect! Happy New Years to you and yours. Be happy, be safe, be loved. Wishing you and the boys a very happy new year, Michelle, filled with the peace and happiness you so deserve! Ha! Ha! 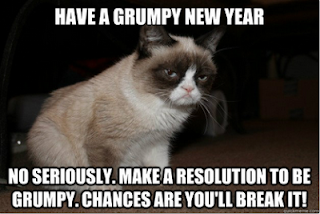 Love Grumpy! I have a good feeling about this year. 2012, actually for me it's been 2011 & 2012 have been challenging to say the least. I'm ready for something great in 2013 and I know you are too!